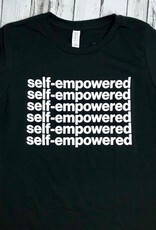 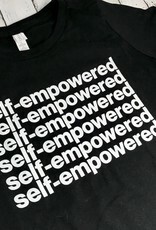 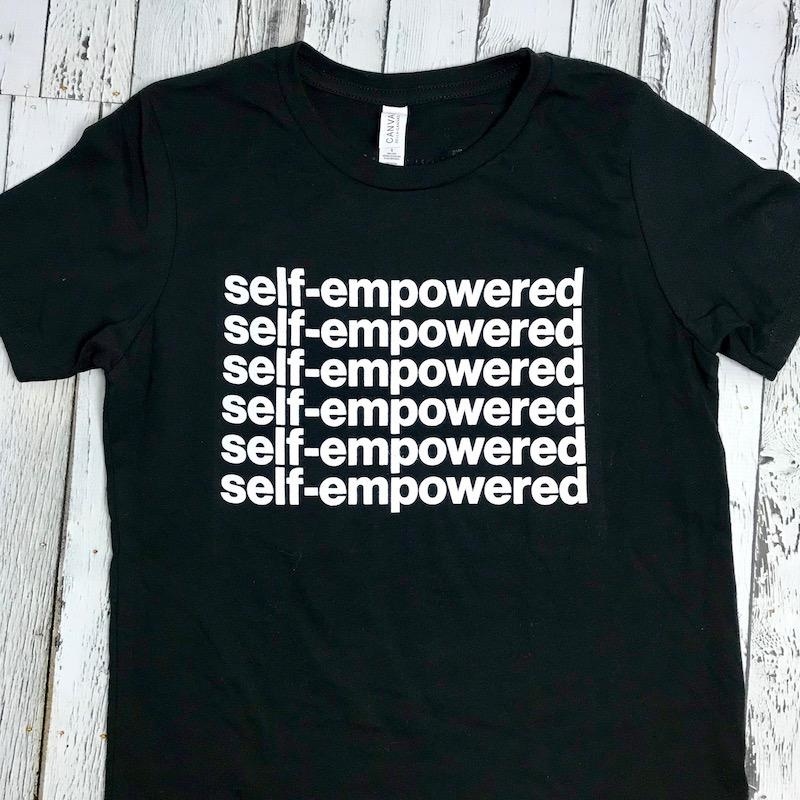 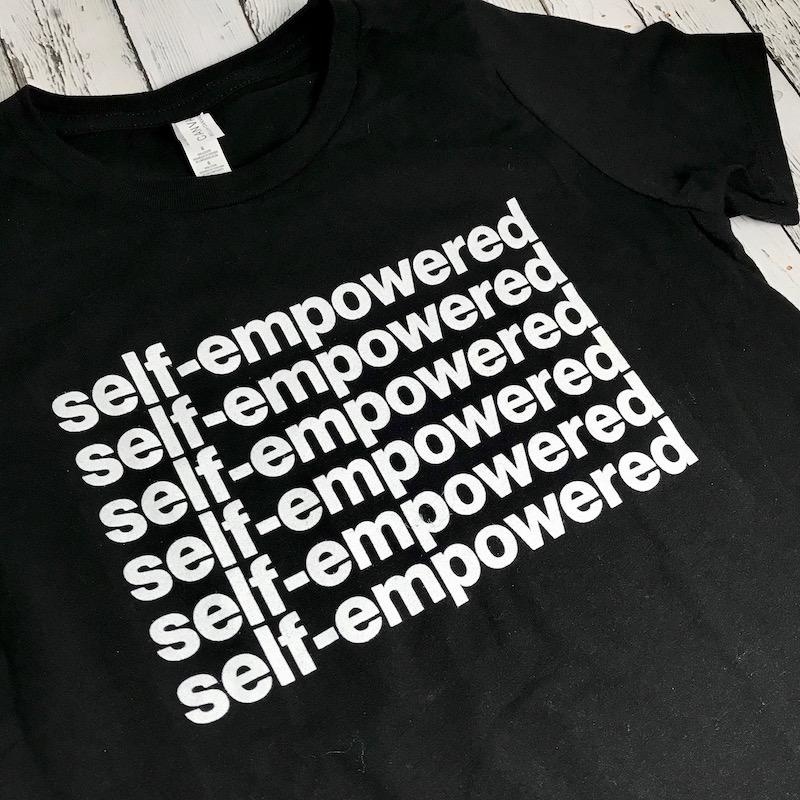 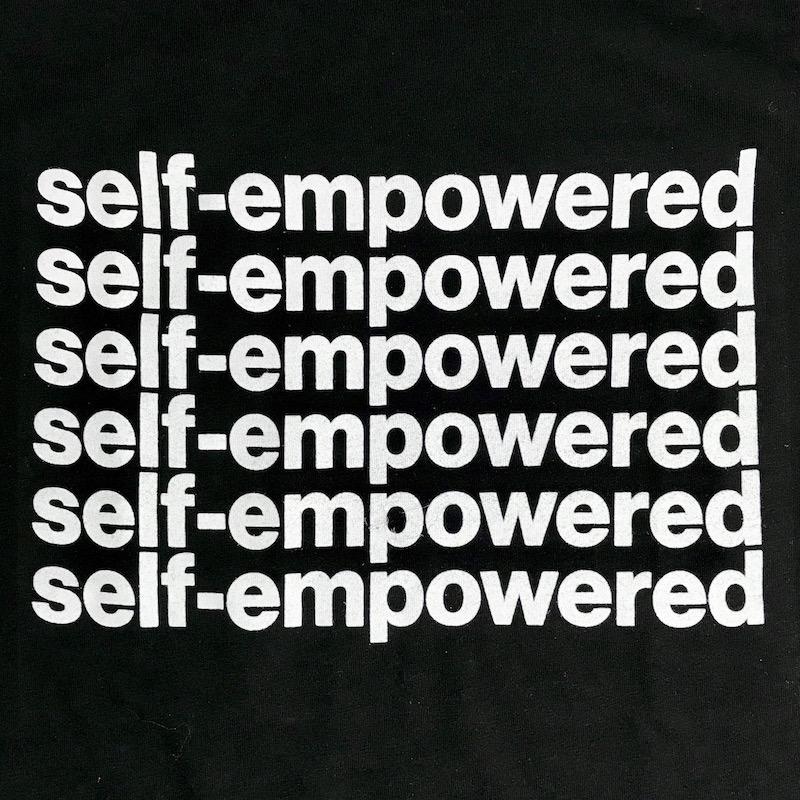 This Self Empowered t-shirt is available in sizes YL-XL. 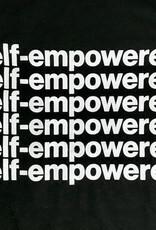 If you're into self-empowerment and achieving dreams, join our self-empowered journey. 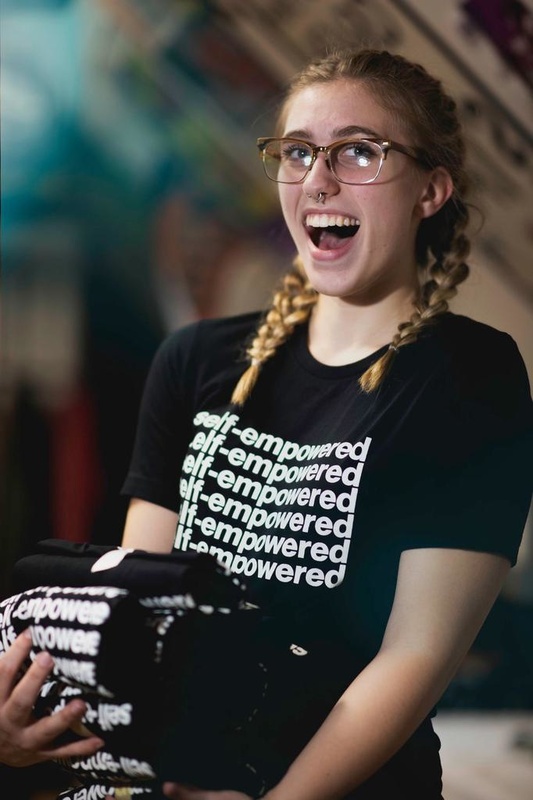 Show the world that you believe in your own confidence, creativity, and discipline, and know that you're supporting youth empowerment through theatre while you're at it!